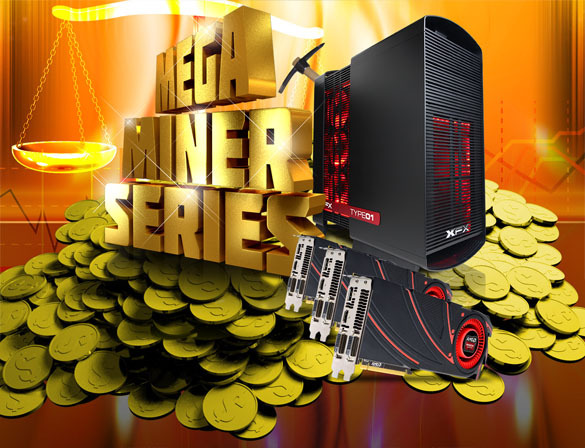 CyberPowerPC has entered the digital mining industry, following the lead set by iBuyPower PC builder. The build-your-own gaming PC company has added digital coin mining to its repertoire of specialized computers. 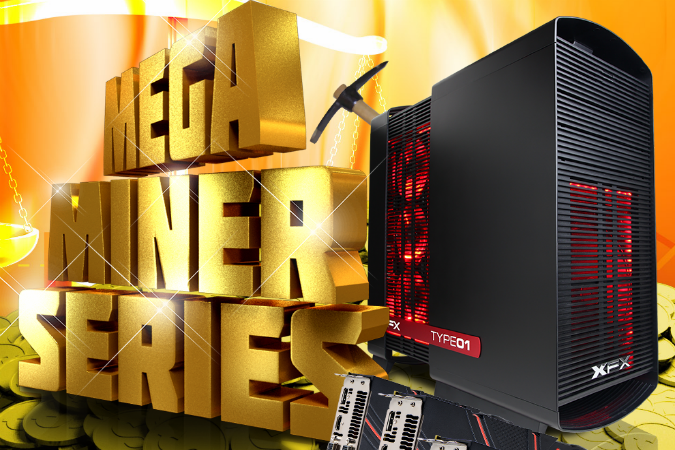 CyberPowerPC calls their new line of mining PC’s the Mega Miner Family. The Mining Family series consists of three different types of models, and each can be further customized to obtain more advanced technology. The hardware for all three computers include AMD Radeon R9 graphics cards, which is known to be the preferred card for coin mining. The cheapest priced model, the Mega Miner 100, will run consumers $989. It includes an AMD FX-4300 quad-core processor, 4GB of RAM, a 500GB hard drive, DVD burner, and a pair of Radeon R9 270X video cards. The Mega Miner 200 consists of the same components, but consists of three R9 280X graphics cards. This model costs $1,929. As for the Mega Miner 300, digital coin miners will have to fork over $2,569 if they want the most powerful unit. The mining PC can switch over to an Intel Core i3-4130 Haswell CPU, offers 1TB of hard drive space, and features a trio of R9 290 graphics boards. To prevent overheating the system, a Corsair liquid-cooling solution will allow the system to function properly. The Mega Miner 100 and 200 have a built-in fan, rather than the cooling solution. An important feature for all three mining units is that a Thermaltake DPS power supply monitors the amount of electricity used. This is necessary as virtual coin miners make money off of mining, but also raise their electric bills in the process. Hardware like the CyberPowerPC mining units are a leap forward for the mining community. Rather than purchasing an expensive machine for just mining, a mining PC can be used for gaming and other common computer practices as well. CyberPowerPC’s step into the mining industry is a great step for the computer company. Mining company KnCMiner has proved that digital currency mining is a necessary, in demand tool for the bitcoin community’s success. KnCMiner has announced that the Titan, their newest mining hardware, has already sold $2 million worth of pre-order sales. This goes to show how valuable it is to be a mining hardware distributor. CyberPowerPC is definitely on the right track. Such bull. Do your homework. This will not make you any money.